Dr. Robert Ward, Dr. Vivek Cheba, and the Clarity Orthodontics team would love help you achieve a lifetime of confident, radiant smiles! Straight, healthy teeth and a beautiful smile can transform your life. Every day we see our patients gain confidence and watch their self-esteem blossom. As your teeth gently shift into proper alignment, you’ll see your appearance change. You’ll feel better about yourself and stop worrying that people might notice your crooked teeth. By the time you’re finished with orthodontic treatment, you’ll be smiling and laughing without a second thought! Our doctors use leading-edge technology, including the i-CAT® Cone Beam 3D Dental Imaging System and the iTero® Digital Impression System. This ensures the most accurate diagnostics and treatment. They also use advanced techniques for efficient, comfortable treatment and amazing smile results. 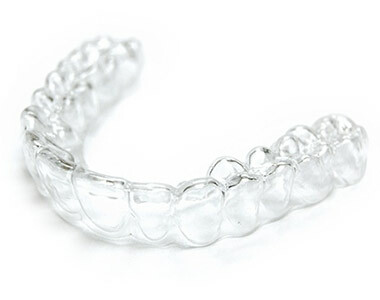 In addition to clear and metal braces for all ages, Clarity Orthodontics is an Elite Provider of Invisalign® and Invisalign Teen® clear aligners. We’re also the only practice in Medicine Hat to offer SureSmile® accelerated treatment. Please contact our Medicine Hat, AB orthodontic office to schedule a complimentary consultation. We welcome patients from Lethbridge as well as Swift Current, SK. Dr. Ward, Dr. Cheba, and the team at Clarity Orthodontics look forward to welcoming you to our practice. We can’t wait to start you on the path to a lifetime of incredibly beautiful smiles. Call today! Since we are a designated Invisalign Elite Provider, prospective patients can trust that Clarity Orthodontics has a significant amount of experience helping patients achieve the straight teeth they desire.